For the longest time, Nick Drake was just one of those names that popped up on lists of cult artists of the early 1970s, whom I never quite got around to listening to, and nowadays, Nick Drake is someone who I’ve listened to, but mostly still haven’t quite come around to. And in between all of that, of course, is one of the greatest collisions of crass commercialism and pure art that has ever existed: the Volkswagen “Pink Moon” commercial. Maybe it still does: Neil Young, of course, won a MTV music award for “This Note’s For You,” and has never once backed down from that stance, but nearly all of his surviving contemporaries — Dylan, The Beatles, The Who, The Rolling Stones, etc — have licensed their catalogs for various commercial purposes. But of course, these are massive artists using songs that have already been saturated in our consciousness, a completely different head from what happened with Nick Drake. And what happened was that what was supposed to be a car commercial turned into an impressionistic music video, with the combination of the visuals — four kids out for a drive on a gorgeous full moon night, rejecting a raging, potential bummer of a party (as signified by a quick shot of an obvious meathead raising his arms and shouting whoo!” for the endless possibilities of the open road, all the while stealing glances at each other — and Drake’s haunting music capturing something ineffable about youth and freedom. I was utterly gobsmacked by the whole thing. While I’d heard some of Nick Drake’s music by that point — Matt had given me a CD of Bryter Layter as a birthday present a couple of years prior — I hadn’t yet heard “Pink Moon,” and I fell in love with it. 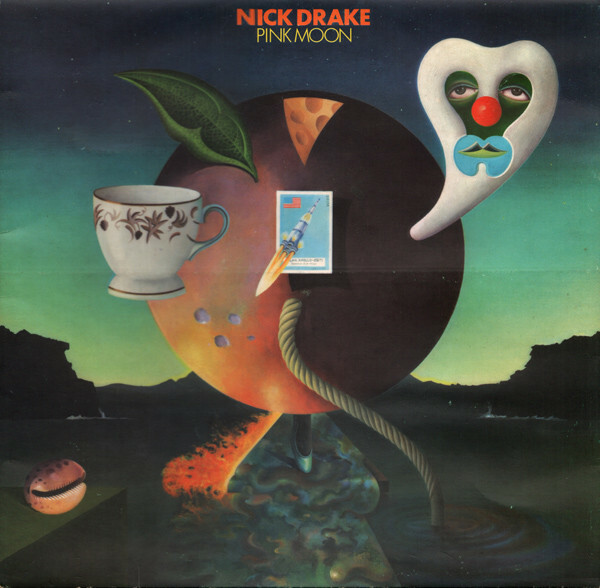 And, since “Pink Moon” is basically a short song with a single verse repeated two times, with only a piano solo separating those repetitions, everything great about the song was all there in the commercial, almost like it was written to order. And my guess is that most people thought it was written to order. Also, we bought the car. Not because of the spot, per se, but because Rox needed a new car, and she wanted a convertible. Since I’d been driving one Volkswagen or another for over a decade, we drove out to a VW dealership in like Walnut Creek to test drive one, where they literally unwrapped a new one before our eyes, and I’m pretty sure Rox was sold before we even drove it. It was a perfect choice, though: Rox loved that car — which was the last stick shift car that either of us owned, stick shifts being a huge pain when you’re stuck in L.A. traffic — and the only reason she got rid of it was to get another VW convertible.